There’s no question Facebook still dominates among brands looking to engage customers in social media. However, Instagram is also emerging as an effective channel to reach customers and brand loyalists in a space where research shows more of them are now living: on their mobile devices. Above all else, Instagram is an entertainment channel. It allows users to tell a story with a simple picture and to see the stories other people are telling with their own pictures. Earlier this year Instagram expanded the concept by allowing users to tell their stories in 15 second videos. The new feature presents an opportunity for brands to visually engage people in new and powerful ways. The challenge though, is to make them useful and entertaining. It’s instructive for brands to think of Instagram videos in the same way that television journalists think of “standups” in their stories. In this respect, I’ll interject “Blotz’s First Law of Standups.” The law is simple: standups need to teach, demonstrate, or make a visual connection. It’s followed by Blotz’s Second Law of Standups: when in doubt, refer to Law #1. 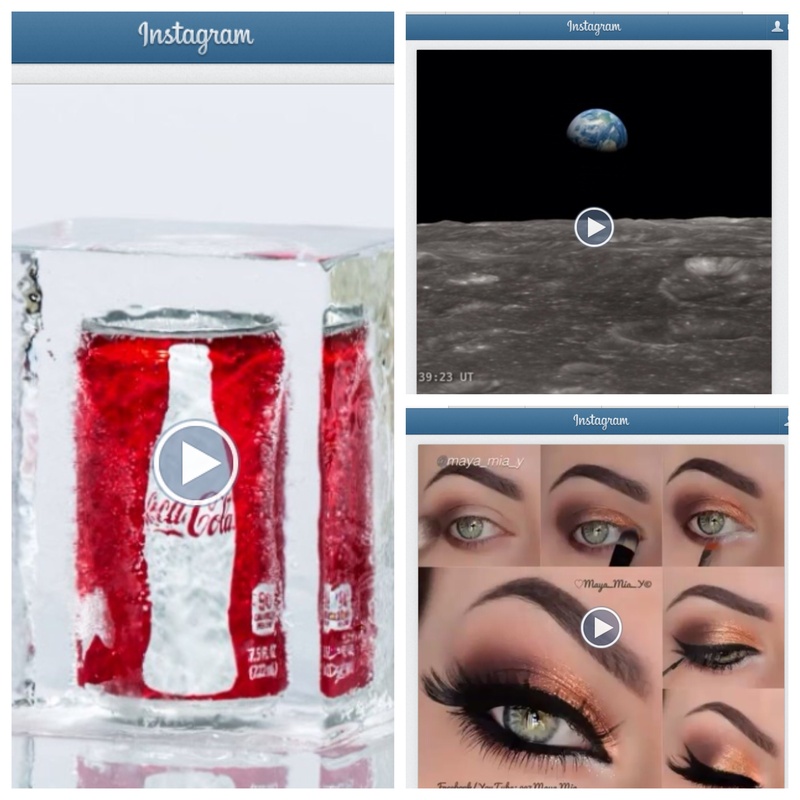 Three brands in the past 24 hours have posted Instagram videos that mirror this best practice and serve as an instructive tool. The first is NASA. Yes, a government agency. NASA’s Goddard Space Flight Center created a wonderful Instagram visualization that teaches the viewer how the Apollo 8 astronauts witnessed the “Earthrise” 45 years ago this week. Motives Cosmetics takes the concept a step further by producing an Instagram video that demonstrates how to apply various shades of its eye makeup. Finally, Coca-Cola, no stranger to the power of Instagram, created a pre-holiday video to make a visual connection between Christmas and unwrapping a Coke. The connection between these Instgram videos and Blotz’s Law is not far-fetched. It’s what many are now calling “brand journalism.” It’s storytelling, just in a different format on a different channel that’s primarily used for entertainment. Thanks for the read, Kendrick. Always appreciate the feedback. Hi, Thanks for the read and the comment. Yes, I developed the website myself on WordPress. The theme is “Bueno.” It’s one of the free themes they offer and one that also offers some nice customizations with colors and widgets. WordPress offers dozens, if not hundreds of theme options. Check them out and I’m sure you’ll find one that works for you.